There is a village named Inhacoongo. The landscape here is both arresting and austere, with an almost mythic quality. It is a place where a connection to the earth still holds value. Here, people grow things: chili peppers, cassava, leafy greens and coconuts. To the extent that one can say such a thing, people in Inhacoongo live off the land. But farmers are often not spoken of as they should be – that is, as people whose fundamental and often fragile relationship with the land is a creative process. The ability to improvise, master meticulous work, engage in punishing routines and tease a living out of the earth is what determines a farmer's fortunes from year to year. Under almost any circumstance, a successful harvest is no small accomplishment when one considers that a missed rain, a late application of fertilizer or an unexpected arrival of pests or disease can spell the difference between market access and crop failure, between prosperity and bankruptcy. Farming is a human craft that gains meaning and expression through the daily grind of working the soil and juggling the labor and technical requirements that it commands. But vulnerable to a host of factors beyond their control, the life of a farmer tends toward evocation rather than explanation. Classifications such as commercial farmer, outgrower or subsistence farmer are terms that can obscure this basic point. The scale and type of farming might operate according to different demands, but in the end, it is simply what many people do: they farm. In the field of development, technology typically attracts attention for what it can do for production, not what it means for the producers. 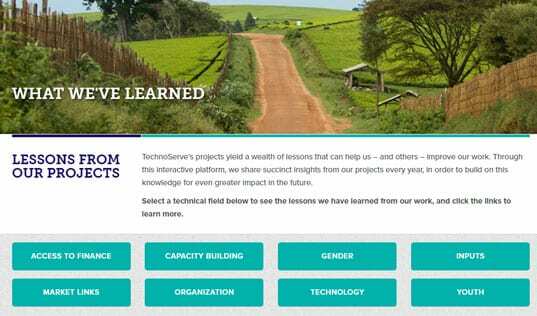 TechnoServe’s program in Inhambane Province, supported by Irish Aid, is designed to connect farmers with appropriate technologies to enhance the long-term resilience of poor households and stimulate growth of the agricultural economy. TechnoServe expects this program to create $8.6 million in new wages and revenues that will directly benefit more than 3,300 men, women and children in Inhambane. 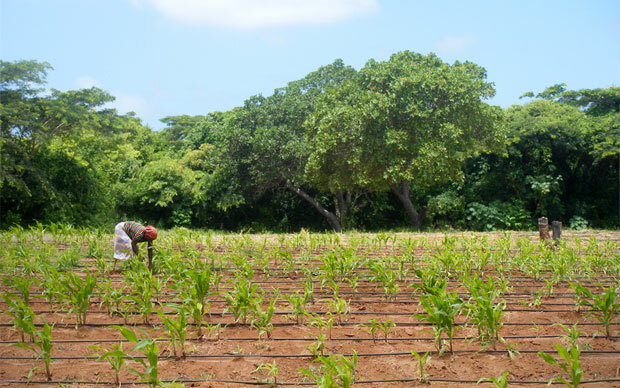 It is here that a successful model developed with Mozambique Organicos — a commercial farming enterprise producing high-end horticulture — is building a network of farmers who are generating income by producing export-quality crops. 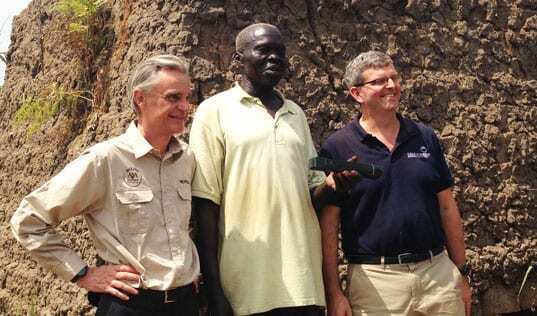 These farmers are increasing their productivity through new seed varieties, irrigation systems, organic composting techniques and specialized agronomic services such as integrated pest and spray management. Moreover, in order to optimize farm diversification, income generation and food security, farmers are intercropping food crops with cash crops. 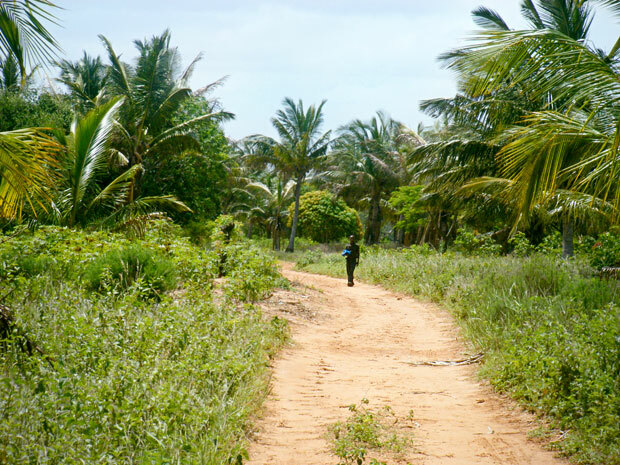 The primary cash crops in Inhambane are coconuts, cashews, peanuts and cassava, most of which are sold as raw commodities. Indeed, the number of coconut trees in the province represents the fifth-largest grouping in the world and are crucial to maintaining the region’s tropical climate. But while most households currently grow coconuts, few have invested in good management of their trees. As aging trees rob nutrients from depleted soils, yields continue to fall and coconut-related incomes remain low. By establishing models for household and community-level replanting, soil fertility can be dramatically improved, resulting in jobs, income and increased availability of nutritious fruits and vegetables. The arrival of commercial farming oriented toward exports has created a connection to the wider world, and with this a change in economic habits. People farm for themselves and their family first, but also for the market. Inhambane Province is now exporting crops to Europe for the first time in more than 40 years, and with this the area has seen the rise of new job titles such as pack house worker and irrigation manager. Moreover, residents are becoming economically active beyond the fields, and the nearby highway echoes the mood. 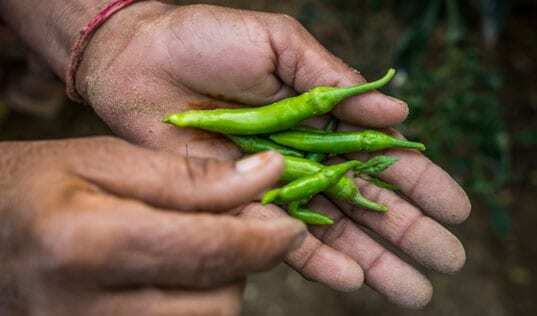 With a major spike in the volume of chilies grown locally, a niche center of specialized production has taken root, with family factories and kiosks lining the road selling “Dona Rachida’s” famous hot sauce. Local production, local processing, local marketing. 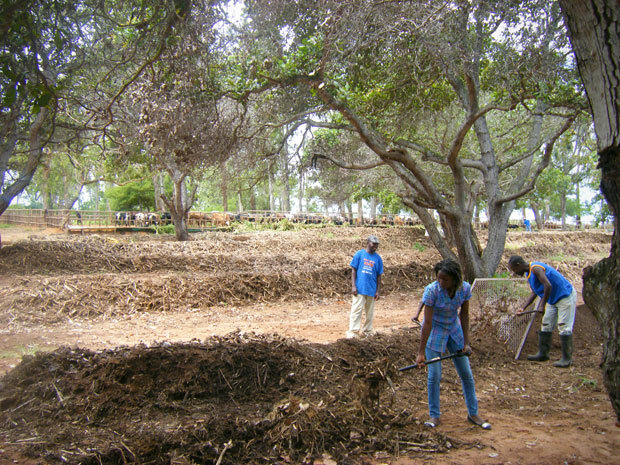 Until recently, Inhambane had a subsistence economy dependent on a small number of rain-fed staple crops. Now, the region is on the cusp of participating in an increasingly complex commercial network. Responding to such a major shift represents both a formative challenge and an opportunity for the region. But there is inspiration to be found in this garden, and as land has long been said to hold regenerative power, the marriage of agrarian and technical know-how in the fields of Inhacoongo seems well suited to the moment.